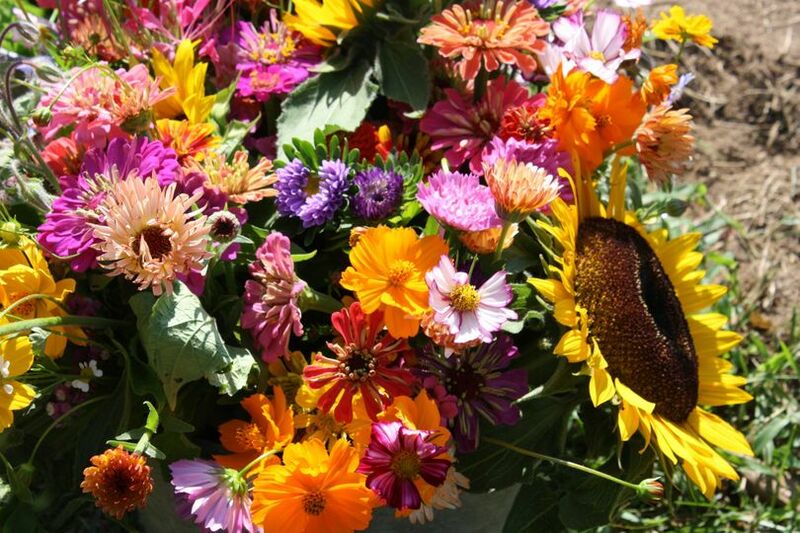 Welcome to Winterberry Farm a 200 year old farm, where we grow hundreds of varieties of certified organic flowers and herbs, Mary Perry owner and master floral designer for 20 years. 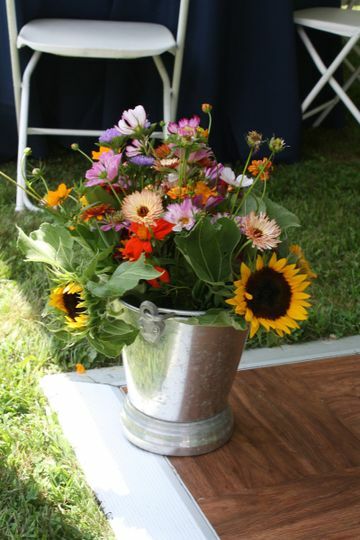 come to the farm and cut your own flowers complete with yoga and bridal luncheon or let us design and deliver your flowers for your amazing day. open daily we welcome you and your families to my families farm. 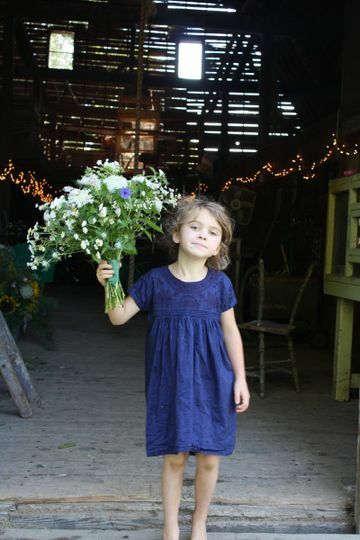 let us design beautiful flowers for you grown here on our beautiful old maine farm. 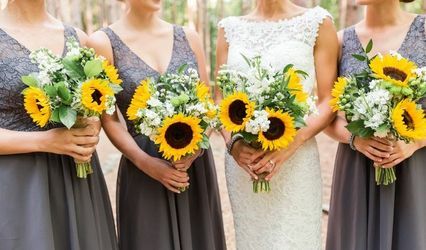 Wildflowers and sunflowers, perfect for a late August or fall wedding! 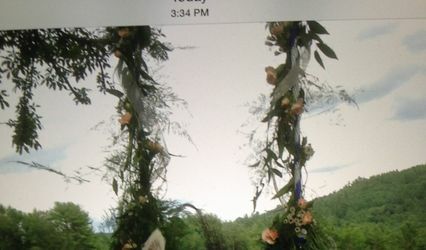 Mary provided a beautiful arrangement of bouquets and boutonnieres for my winter wedding at a reasonable price. 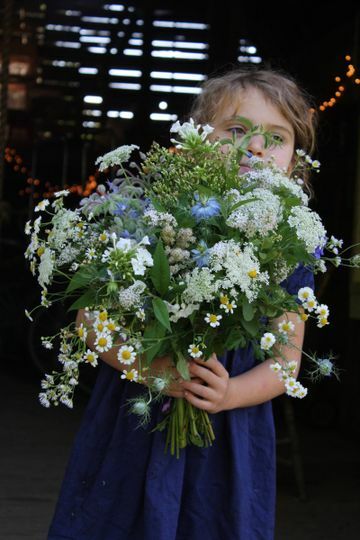 I would definitely recommend her flowers! Later we visited her farm for a sleigh ride. I had to be talked into it by my now-wife, but I'm so glad she did! It was delightful. Mary and her family were extremely accommodating and pleasant to work with. I personally can't speak for the prepared goods, but my father said the salsa he bought was the best he's ever had. Thank you Lance, you and Ali were so easy to work with, it was a dream to watch the two of you together here at the farm. 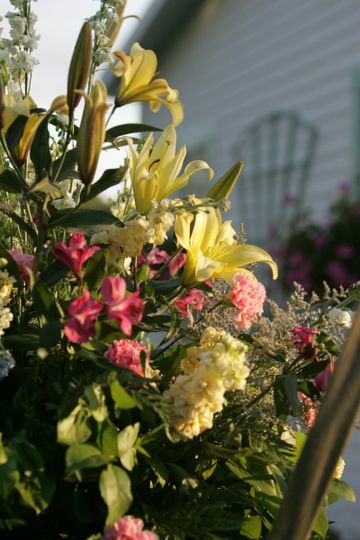 Mary from Winterberry Farm is a lovely person to work with and has an elegant taste for floral arrangements. 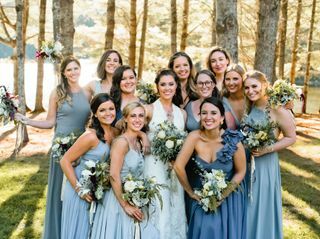 I opted for a winter wedding and talked with Mary about incorporating a holiday theme into the wedding bouquets without it looking too Christmasy. She listened to my ideas and gave some of her own. 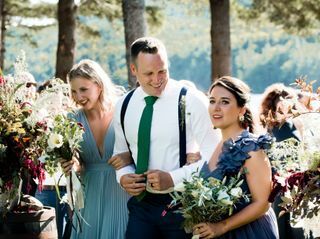 It was important to her to know the color theme of the wedding (including bridesmaids and groom attire) so that she could choose flowers and greens that complimented it. In the end, we agreed on burgundy berries, eucalyptus greens, cedar, and white roses. The end results were stunning and all that I had hoped for. 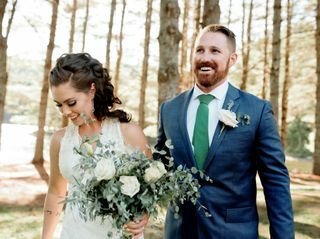 Mary was communicative and available throughout the entire planning process, warm and amicable to talk to, adaptable with last minute changes, and was flexible enough to remain in a set budget while still delivering quality and fresh floral designs. I am thrilled to have found her and only wish I was local so that I could order more from her! 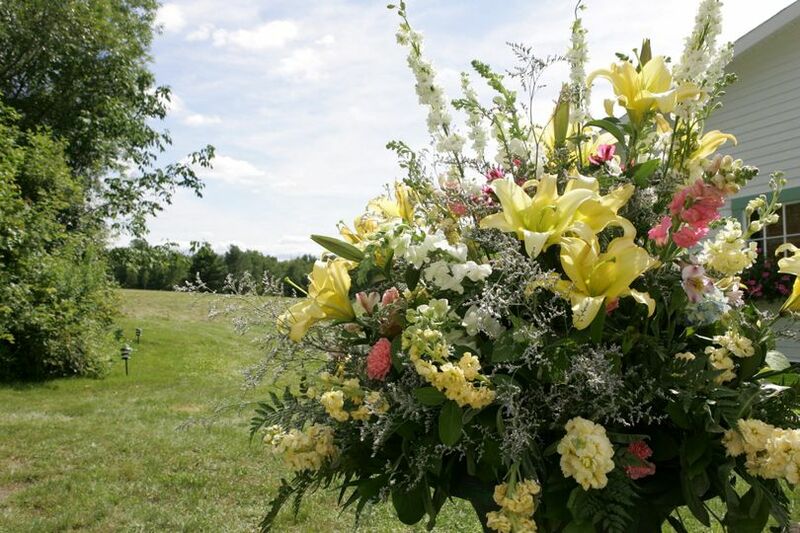 I highly recommend her for bouquets and centerpieces. 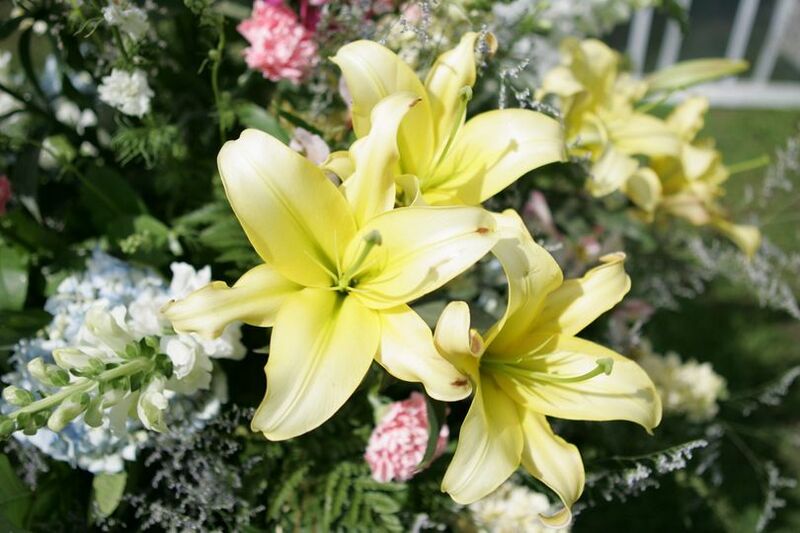 With her services, you can expect someone who puts a lot of thought, care, and skill into the designs with a vision that will match and compliment that of your special occasion. Thank you Ali, all my best to you and Lance. 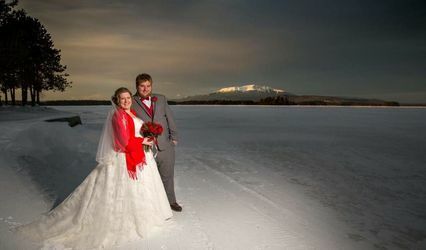 I loved making your winter bouquet and taking you both on a wintery sleigh ride, I am anxious to see the photos. Mary was so easy to work with and saw our vision exactly, right from the start. 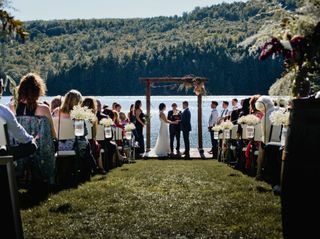 Our wedding took place at a summer camp so although we wanted a somewhat traditional and formal event, we also wanted to integrate the natural lakeside setting into our floral arrangements. 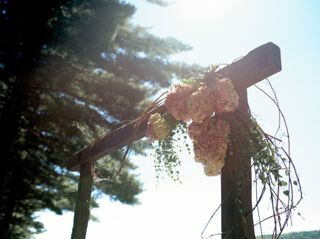 The bouquets and table arrangements were stunning in their organic simplicity. 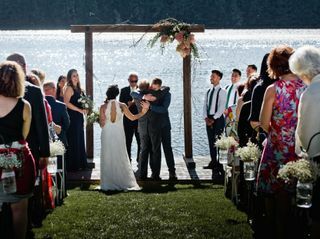 One aunt said she was so distracted during the ceremony by the bridesmaid's bouquets with the spectacular lake setting in the background, she missed hearing something! Another bonus was using some of the table arrangements to decorate the ceremony area then moving them to the reception for continuity. 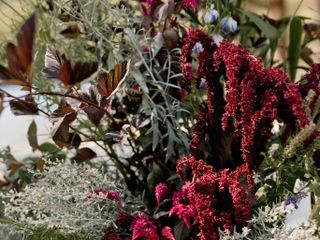 Our reception tables were unclothed farm tables and Mary's arrangements spilled over with greens, berries, twigs and moss encircled by our gold glass votives. 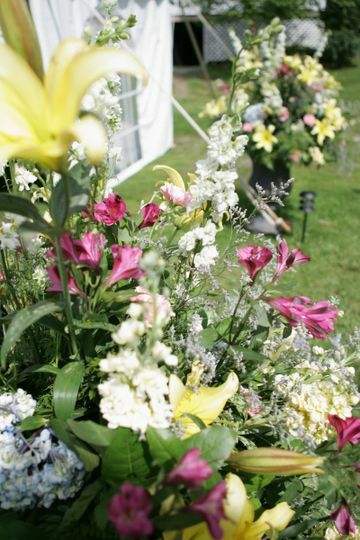 Our guests continue to rave about the setting and the arrangements which completed it perfectly.